Line large cookie sheet with waxed paper. 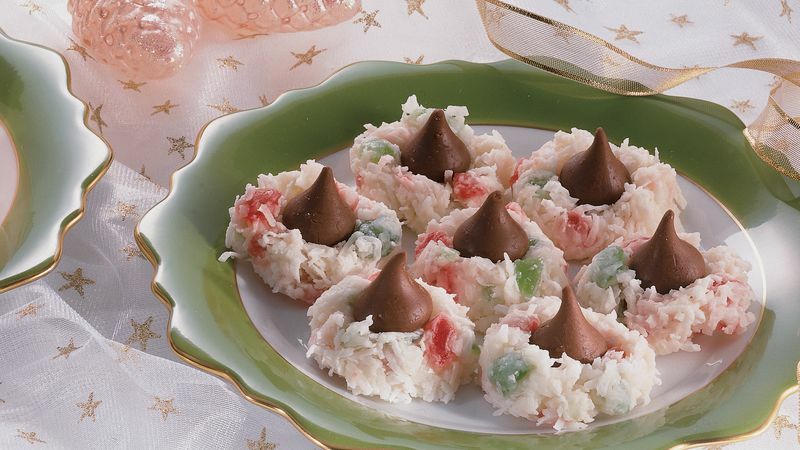 In large bowl, combine all ingredients except candy kisses; mix well. Drop coconut mixture by rounded tablespoonfuls onto waxed paper. Press 1 candy kiss into top of each. Refrigerate 30 minutes or until firm.